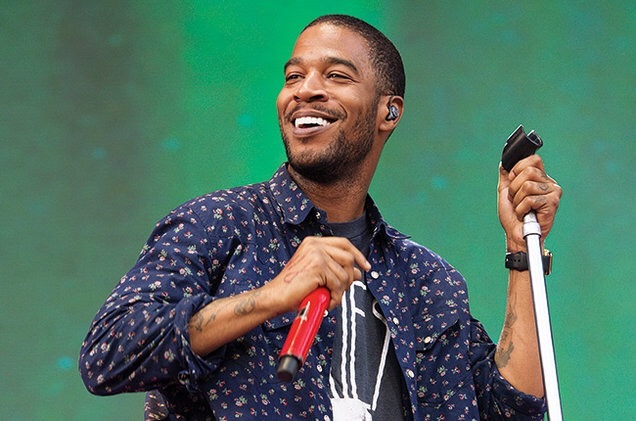 If you’ve been following pop culture recently then you are probably aware of Kid Cudi’s recent confession. In a facebook post, the rapper admitted to suffering from depression and mental trauma that has continuously plagued him and stated that he decided to check himself into rehab to receive the treatment he needs. This public display of vulnerability was met with an outpouring of love and support, especially from the black male community, a culture not always known for, but not without examples of, transparency and vulnerability. This response birthed the hashtag #YouGoodBro, a question posed to start a needed conversation about being honest about where we really are. The church, sadly, is a place where men have been able to avoid honest and meaningful communication. Sunday morning services are filled with people who greet each other with questions like “Hey, how are you?”, disguised as an introduction into the other person’s ups and downs of the past week, but really only asked with an expectation of the normal church answer “Fine, how are you?”. “I’m good, thanks!”. And although this isn’t a male-only problem, I believe the burden to be vulnerable is culturally difficult for men to bear. Culture has taught us that men don’t cry, show emotion, or talk about their inner problems. Complain about your boss, the ball and chain at home, your sports team not making the playoffs, sure. But discuss how all those make you feel? Not a chance. This is not new narrative either. It’s one believed by our fathers and passed down to each us of, dressed up as normal with an expectation of conformity. The interesting thing about the narrative culture tell us is that it goes against the created intrinsic make-up of our very humanity. We are all born with emotions and the capacity to feel. We are not an impenetrable entity, unscathed by the raucous emotional shrapnel of life. We are mortal and our souls can be pierced. And we need to talk about it. Jesus did not hide his pain from His brothers. Jesus was fully God, but He was also man. He didn’t just let them see Him transfigured on the Mount, in all His glory; He also let them see His agony and pain. This Jesus who would be their slain lamb, to take away their sins and restore them to the Father, did not hide his trouble and sorrow with a shallow “I’m fine, how are you?”. No, He let them in. He asked them to sit with Him while He prayed. He told them specifically of the trouble in His soul and the magnitude of its effect. Jesus understood the need for honesty in community because He has been in honest community with the Father and Spirit from eternity to eternity. And Him coming to make disciples restored back to the Father meant reminding and showing them what community looks like. This is one aspect of true honest community: the ability to be broken and sorrowful before our brothers as they comfort us. Romans 12:15 tells us to mourn with those who mourn. Men of God, how will your brothers mourn with you if you do not tell them you are mourning? How can we follow Proverbs 27:17 and sharpen each other if we do not know your blade is dull? Vulnerability and transparency are characteristics of those being sanctified like Christ. We are becoming like Him when we allow the spirit of God to work in us in this way. I’m not asking that we tell any and everyone our deepest and darkest secrets and problems. Wisdom and discernment are key with every decision. But, as men in the church we must fight back against the shameful culture of repressing our emotions and carrying a facade of “put-togetherness”. Like #YouGoodBro, we need to be honest about where we are. It’s scary, it’s hard, it’s risky, but it’s needed; and it’s worth it. So, I ask you a simple question: you good, bro?